Last week Vivo Energy had the largest African listing at the London Stock Exchange since 2005 and the largest London IPO so far in 2018. Vivo raised £548 million by selling 27.7% of the company at 165 pence per share, which valued Vivo at £1.98 billion. The company which operates fuel businesses in 15 Africa countries, will have a secondary listing in Johannesburg while it will report primarily to the London exchange. Performance: In 2017 revenue increased by 16% to $6.6 billion and earnings before taxes were $210 million, a 21% increase. Revenue was 66% from retail (Shell fuel stations, convenience stores, restaurants) and 29% from commercial business (large customers, LPG), with the rest from lubricants business. Vivo has Subsidiaries: in Madagascar, Tunisia, Senegal, Burkina Faso, Cote d’Ivoire, Guinea, Uganda, Kenya Ghana, Mali Mauritius, Morocco, Cape Verde) and a 50% investment in Shell & Vitol Lubricants. All these companies are registered in Netherlands or Mauritius. Prices are regulated in 12 of the 15 countries that they operate in, including Kenya. Engen: The company is in the process of buying Engen for $399 million, and this will comprise a payment of $121 million in cash and 123 million new shares of Vivo, after which it is expected that Engen will own 9.3% of the company. The Engen deal which is expected to be completed later in 2018, adds 300 stations and brings on 9 new countries to the group. Johannesburg: Another 10% of Vivo is being availed to get the company listed in South Africa. The listing at Johannesburg will cost $16.3 million which includes payments for legal advice $4M (Freshfields Bruckhaus Deringer), $2.6M to the reporting auditors & accountants (PWC), other legal advisor fees of $1.5M and $142,000 to Bowman, JSE fees for listing and document inspection of $180,000, and $7.1 million in other expenses in South Africa. Taxes: Sale of shares in the UK will attract a stamp tax duty of 0.5% of the offer price, while a tax of 0.25% is payable on every sale in South Africa. Managers & Employees: There is an extensive listing in the prospectus on Vivo’s key managers and directors, their roles, compensation and other benefits. For directors, it lists current and past directorships e.g. Temitope Lawani, the co-founder and Managing Partner of Helios Investment Partners, has 47 current directorships. 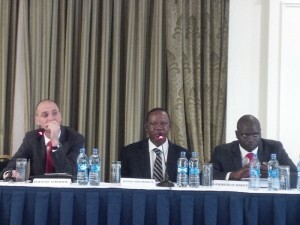 A top Kenyan official is David Mureithi, the Executive Vice President for Retail, Marketing, and East & Southern Africa. Vivo has a long-term incentive plan for executives and senior directors and also an IPO share plan for employees. They have a total of 2,349 employees, with 240 in Kenya, which is third in employ size behind Morocco (579) and Tunisia (270). In Kenya: they had sales of $1.3 billion in 2017 up from $1 billion in 2016. They have 189 stations in the country (56% of which are in Nairobi) and are the number one in the country (due to the strong Shell brand) with a 27% market share. They also supply jet fuel at four airports and sell lubricants. And while employees of Engen have just filed objections to the deal in Kenya, going by past transactions, Kenya’s Competition Authority will approve a deal as long as there is no severe loss of jobs. Shareholders: Prior to the listing were Vitol Africa B.V. 41.6%, VIP Africa II B.V. 13.3%, (Helios) HIP Oil B.V. 2.4% and HIP Oil 2 B.V. 41.8%. After the deal, with a full subscription, it is expected that Vitol goes to 28.9%, VIP to 9.2% and HIP 2 to 30%. Litigation: A government ministry in DRC has tried to put a hold on the sale of the Engen subsidiary in DRC (in which the government owns 40%), but Vivo believe the case has no basis and are contenting this. This entry was posted in africa venture capital, DRC, Helios Partners, london, M&A, NSE investor awareness, South Africa, Vivo and tagged Africa Rising, LSE, Vivo on May 8, 2018 by bankelele. 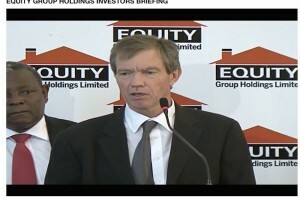 A few days after Equity Bank released their Q3 results, the bank had another media briefing. CEO James Mwangi explained the stuff he had said earlier about the shareholding change, agency banking, superiority as a Telco and expansion plans for Africa. Helios have exited from the bank ahead of the end of the seven year life of the fund. It was a closed fund. Using USSD, customers used to do 2 transactions per month. 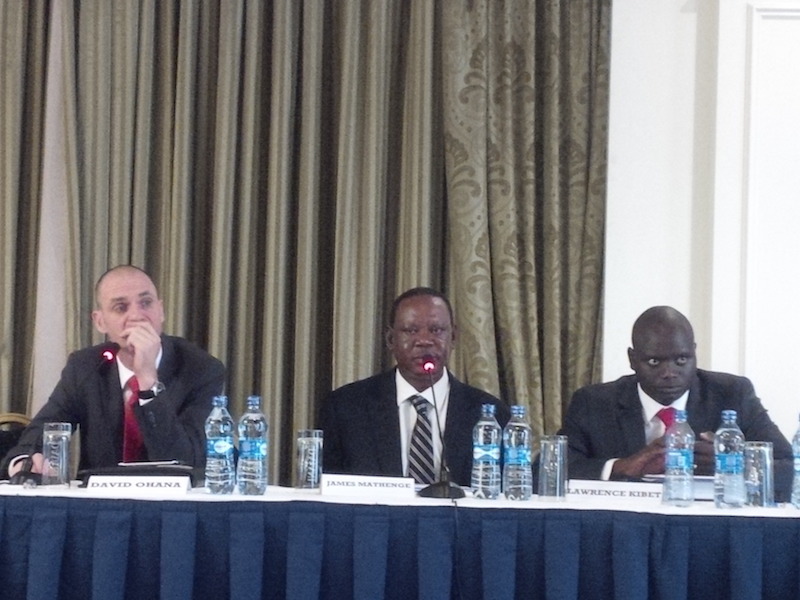 That is now to 19 transactions per month with Equitel, and they hope to go 120 per month when they add payments. Kshs 4 billion has been disburse via Equitel . 1 million people have got these loans and the average is 4,000 or 5,000. They are going to increase the loan duration to 3 months, then 6, and will do loans of 3-5 years eventually. Used to process 3,500 loans a day, but that’s now 12,000 loans per day via mobile. loans starts at 1 a.m. peak and are disburse by 5 a.m. before the branches open. Credit applications takes 2 minutes to check with the credit reference, the national identity bureau and also come up with a score analysis. Next is bill presentation; you give your bank a list of recurring payments, and they will check the bill for you and ask you to confirm payment for electricity, water, dust etc. Cardless banking – no need to carry an ATM card. Harambees (fund raisers are also virtualized: You can see how much has been raised, who has donated a goat etc. John Staley, the Director of Finance & Innovation, said Equitel was a free channel that enables them to do secure transactions that were not possible by USSD before and they will soon be rolling out a secure mobile app. James Mwangi confirmed that a move by Safaricom to hike up the costs of Equitel to bank transfers had been shot down and such regulatory approval decisions will be made by third parties of payment companies and banks (including Equity). 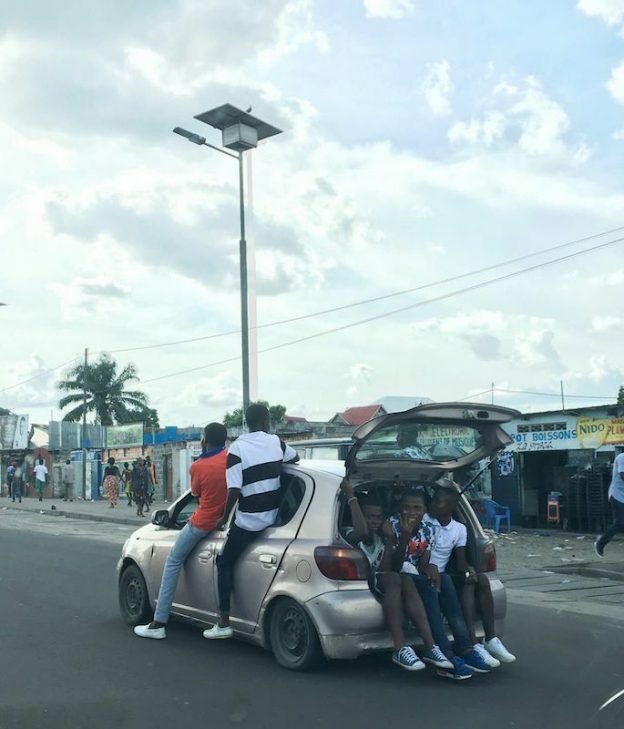 Finally Equity are about conclude their purchase of ProCredit Bank in DRC with most regulatory approvals received and others that they have applied for (agency, mobile) pending – and one of their big take on’s will be to process payroll of all civil servants in the DRC. This entry was posted in DRC, Equity Bank, Helios Partners, M-Pesa, NSE investor awareness on November 23, 2015 by bankelele.